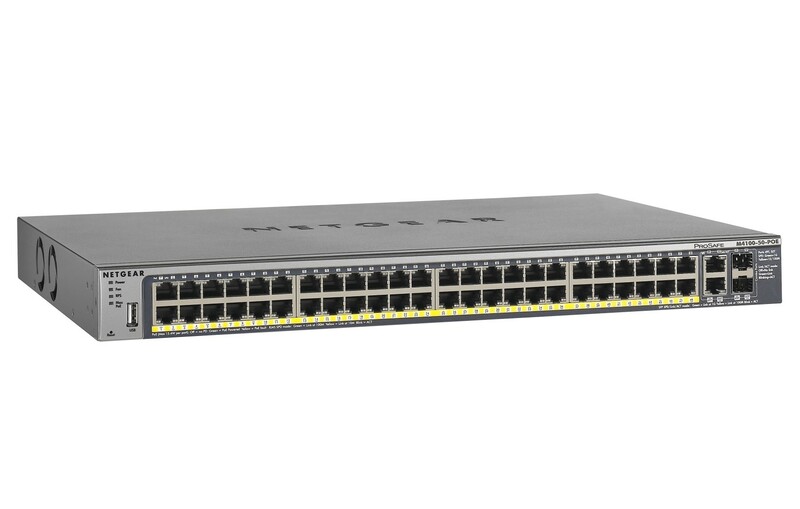 The NETGEAR® M4100-50-POE switch forms part of the ProSAFE® Intelligent Edge M4100 series. The Netgear ProSAFE M4100-50-POE provides 48 ports of 10/100 Fast Ethernet data, with all 48 ports capable of providing industry-standard IEEE 802.3af power to IP PoE enabled devices for example IP phones and IP door entry solutions. In addition there are 2 Gigabit ports with 2 shared SFP. 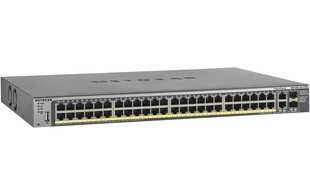 This is a fully managed switch ideal for organisation and business who require reliable, affordable and simple access layer switching with CLI, advanced scripting capabilities and Layer 3 routing. This product comes with a lifetime year manufacturer's warranty as standard. Warranty will be handled by manufacturer after 2 years of purchase.